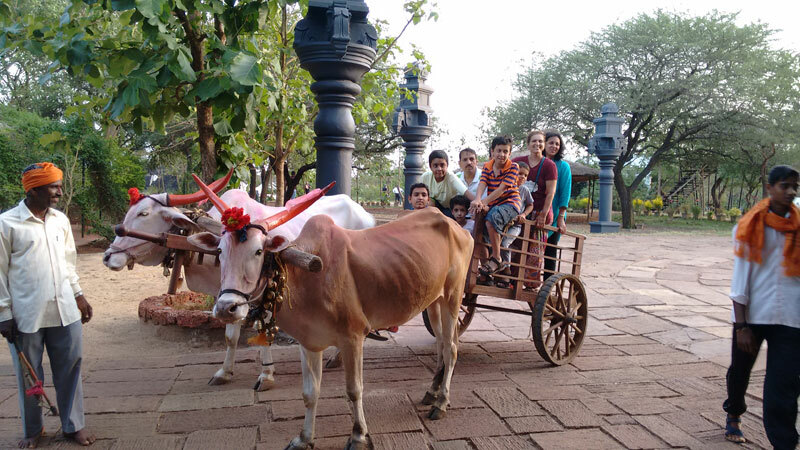 Enjoy with Family at our 8 acre property a memorable “DAY OUT”, amidst nature, in the vicinity of city. You reach the property at 9:30 A.M, we will be happy to greet you. Start the day with a welcome drink & breakfast. 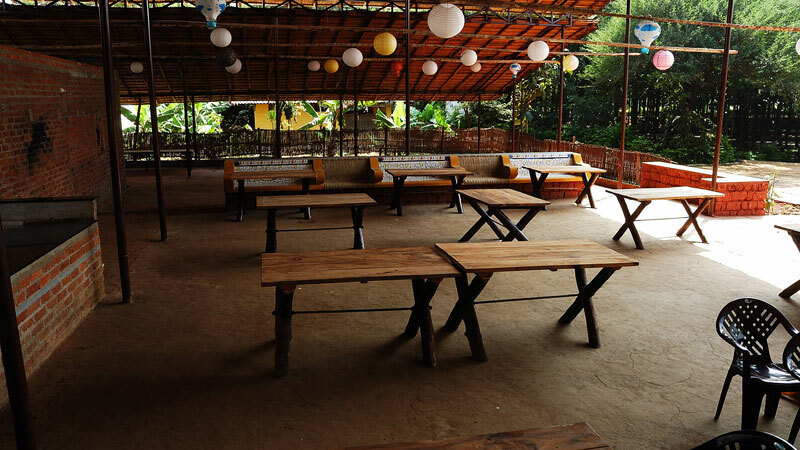 Have fun with family on the sprawling lawns, and enjoy the games. 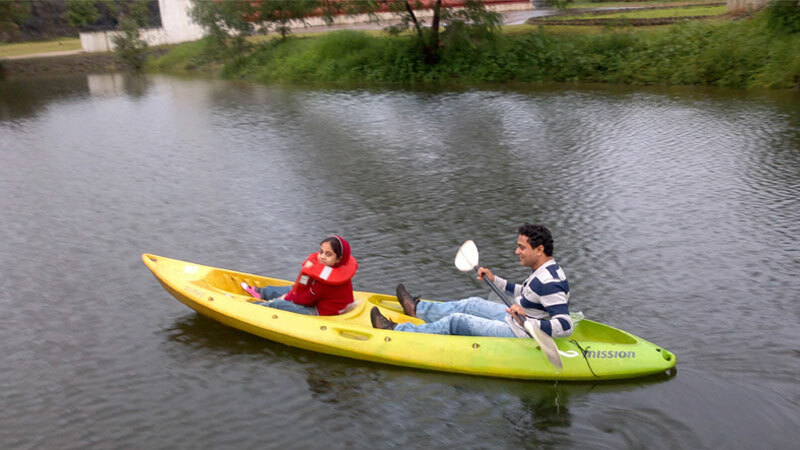 Try out kayaking in the water body. 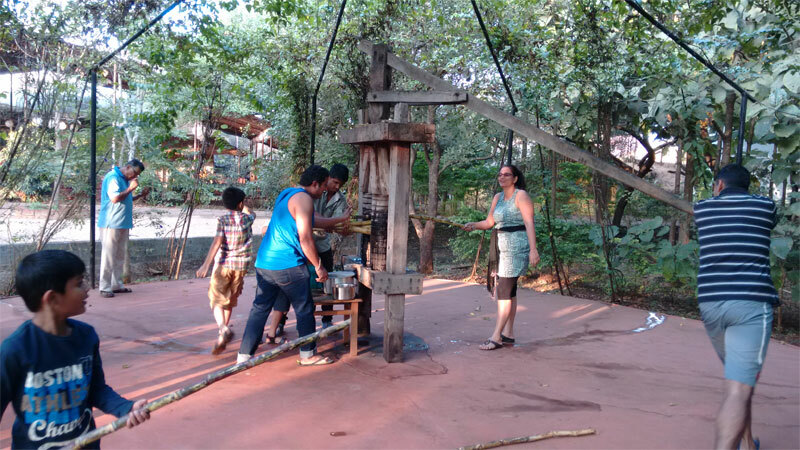 Taste the self made sugarcane juice on a traditional wooden mill (Ghana). Home cooked hot and delicious lunch awaits you at 1 noon (chulivarchyi bhakri). 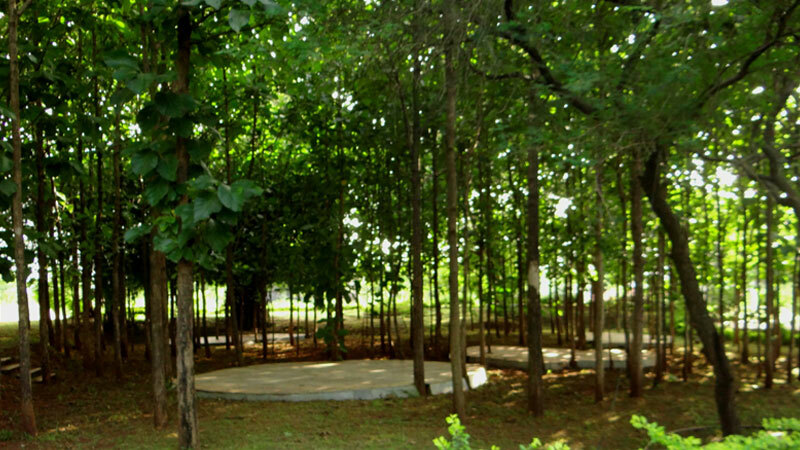 Relax in the dense shade of the teak plantation, among the chatter of birds. 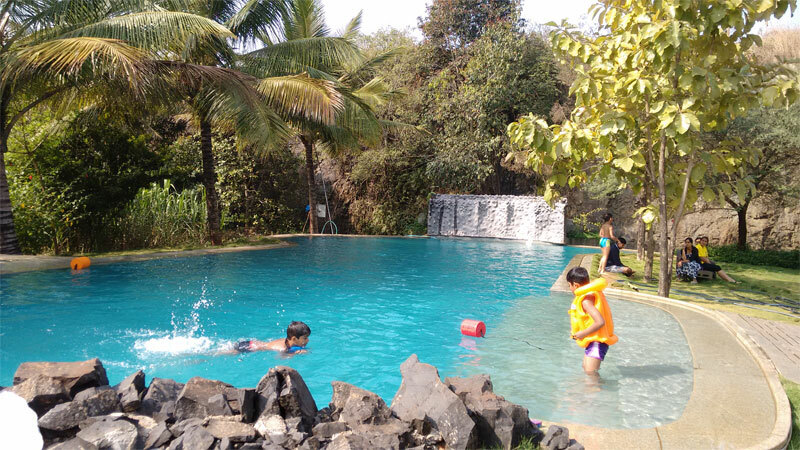 You could choose to take a dip in the swimming pool from 3 pm. Build your appetite for some tasty snacks along with the herbal tea at 5 evening.